The title of this posts seems so catchy, isn’t it? You must be wondering that today you might get the secret to make a huge team for your network marketing business in very less time. Let’s be very clear & not be fooled by anyone that there is a short cut to success. No one has the magic wand for you where you can create a big team in network marketing business overnight. 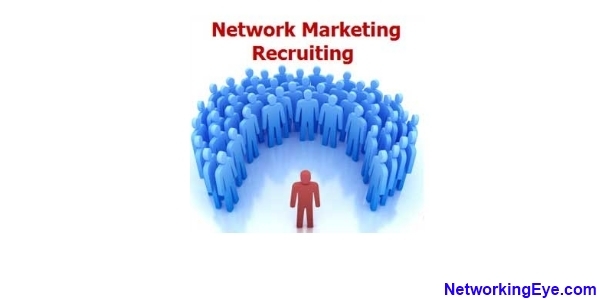 Recruiting people for your network marketing business is one of the important skill you must have so that you are not dependent on your existing team. Whenever you feel a group of people in your team are not performing you can always fill in more fresh blood there & generate more volume. How to Recruit more people? This is what I have learnt in network marketing business. This is the thumb rule in the industry. If you want more n more n more n more people to join, show the plan to more n more n more n more people. Network marketing like any other business works on a simple principal of – NUMBER GAME! More number of people you will expose your business to, more number of people are expected to get associated with you. If you are sharing your business with few people, few people will get associated with you. So the secret is not to worry much about the conversation rate, but to focus on increasing the number of prospects with whom you are sharing the business opportunity. If you sit down after showing the plan to few people & you are not touching more & more people every day, you are making a big mistake. You must not stop. Keep the numbers rolling. But obviously whatever business activity you do it must be done efficiently. Here’s how you can give effective presentation. From where to get Prospects to Show the Plan everyday? Obviously to share your business opportunity with new prospects everyday you need new prospects. Sooner or later your existing Hot / Warm market list will get exhausted. But make sure you exhaust your list by showing the plan to each & every person not by prejudging in your own mind whether they will join or not. The killer technique is to learn the skill of Prospecting. Prospecting simply means talking with people wherever you meet them, building a good rapport with them, by having telephonic conversation, exchanging nice sms, getting connected on social media. Once the prospect is turned from cold to warm, you can judge what can be the hot button or the compelling reason for the prospect to join your business. Till here you have identified the need of the prospect, now tell the prospect what he needs. Make him realize & then give him the solution how your business can help him. This way you can get great conversations. If you learn the skill of prospecting you have unlimited possibilities in network marketing industry. How to Generate Online Leads for Network Marketing business ? Not only face to face prospecting is important, you must also learn how to generate endless leads for your business using the power of internet. Today millions of people are there on facebook & many of them are addicted to it. Facebook is without a question one of the great platform to generate leads for your business by interacting with online users. You can even use facebook groups to post some short promotional message & not to forget facebook page that helps you in making a brand for yourself. I always knew there are millions of professionals on Linkedin but I was wondering how to effective use this social media tool to generate leads for the business. Recently while exploring more about it I discovered Linkedin groups work great. 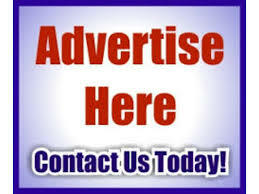 You can simply post some promotion content there & you get great response from the people who have joined the group. But make sure not to spam. Even you can send a nicely drafted inbox message to the people you are connected with. If you can create some video & share good value in it, certainly you will get good leads from youtube. The advantage of using youtube is as it’s owned by Google & youtube has good pagerank so it’s video’s can be easily reflected in google search results. Few months back I came across this fantastic website where people from different, all skills are there. It’s a great platform for people who are looking for a particular profession where their skill set is required & even helps the business owners to find people who have the required skill set. Using above mentioned techniques I am able to generate endless leads for the network marketing business & till date I don’t feel that I am short of leads. And I haven’t spent a dime to generate leads online. The secret to become top recruiter in network marketing business is to share the business with as much people as possible. And to do that you obviously need more n more people in your list, that you can get by doing prospecting & generating leads online for your business. Comment below & let us know how the above post has helped you? And what are the techniques you use to do prospecting & leads generation ?? This is a great land here. I was just searching how to improve my business online and this tips is amazing. I will surely try this all. I’m more on social media now and it really works. Right some will join and some will not but it takes a hard work and a convincing power.